The iconic image of the Rev. Martin Luther King standing at a podium at the National Mall in Washington delivering his historic “I Have a Dream” speech is a momentous moment in American history. But little is known about the people who helped organized the 1963 March on Washington, especially the women. In fact there was only one woman, Anna Arnold Hedgeman, who was on the national committee that planned one of the most pivotal moments in the civil rights movement and American history. One single black woman’s voice was at the table when major strategy that shaped the course of the country was crafted. When Hedgeman learned of the lack of women’s participation in the planning of the event and the absence of women speakers she brought it to the attention of other leaders. Hedgeman wrote about her unique position as a black woman civil rights activist in her 1964 autobiography Trumpet Sounds. Hedgeman is like countless other unrecognized people who played a significant role in the civil rights movement and the planning of the March on Washington. Bayard Rustin, an openly gay black civil-rights activist and principal organizer of the march, was pushed into the background of the movement and the margins of history because of homophobia. But being overlooked didn’t stop Hedgeman’s passion for justice. She continued to fight for civil and women’s rights. 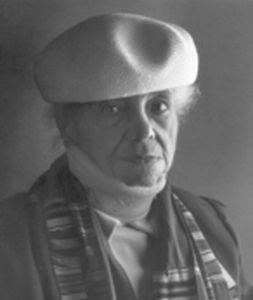 Hedgeman was one of the original founders of the National Organization for Women. Hedgeman, who was an aide to New York Mayor Robert F. Wagner, Jr. in the 1950s, died in 1990 at age 90. She didn’t leave surviving kin when she died. But she left us a legacy of courage and activism that deserves to be known. Labels: 1963, Anna Arnold Hedgeman, Bayard Rustin, black women, civil rights, March on Washington, Martin Luther King Jr.